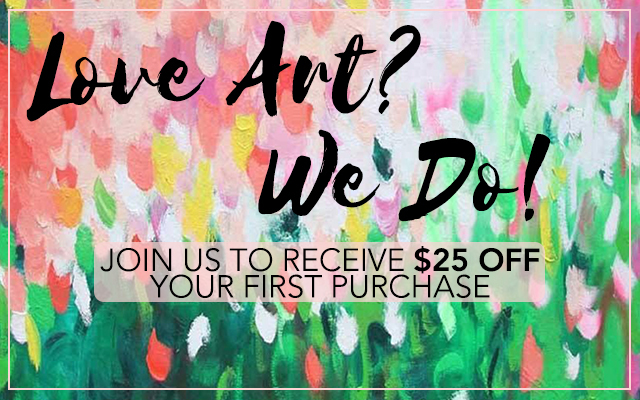 Choosing art for your home can be surprisingly more difficult than we assume and unfortunately, as humans we all make big and small mistakes in abundance throughout our lives. We often have clients that come to us for advice before making a decision for the art in their homes, and so we came up with our top 5 mistakes that everyone makes when choosing art, and of course how to avoid making them! For the most of us the bedroom represents relaxation, and sleep. This is why it is not a wise decision to choose art that is bursting with energy and colour for the bedroom. This kind of vibrant artwork, no matter how beautiful it is will appeal so much to your visual senses that it will discourage you brain from unwinding from the day and cause a poor night’s sleep. Try and select a calming piece that encourages peace and tranquillity such as “Arctic Solstice” that will ease you into a relaxing night’s sleep! As we just addressed, each room has a purpose and therefore the décor should reflect this purpose. People often make this mistake in living rooms by mismatching décor and cluttering the space with different ideas about what the purpose of the room is. It confuses the atmosphere and can make people feel uncomfortable. If your home is being completely redecorated think about what the purpose of each room is in your home, and how you would like these rooms to feel to you and to visitors. 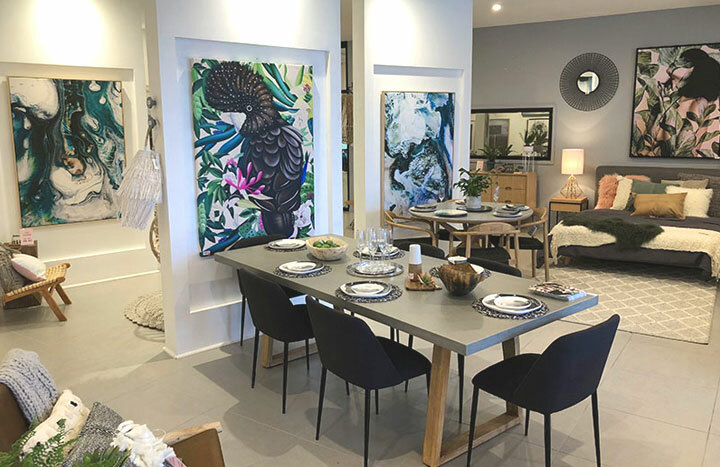 From here you should pick your artwork first as it is generally a focal point in rooms, and build the décor around the theme present within the artwork. If you already have décor and you are looking for art, visualise what interior design trend your décor is communicating and choose and artwork that mirrors similar themes. We cannot stress enough, measure, measure, measure and then double check three times! This is a very common mistake. Most of the time when this mistake is made, the buyer is buying the artwork on a whim and has not thought through where they can put the piece. Choosing art is a very personal choice and as such, requires quite a bit of thought. Hanging an artwork that is too big for a wall can make the whole room feel smaller and cluttered, similarly, hanging an artwork that is too small can make the wall look abnormally large and dull. 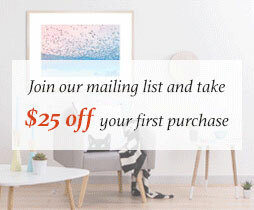 If you find yourself unable to decide what size artwork will look the best in your design space, we have a service on our online store that encourages you to upload a clear image of the room you would like to hang art in, the measurements of the wall and artwork you are interested in and we will create a preview of that room with the artwork in the sizes we think are best suited to the room. And the best part is this is a FREE service! We know it is tempting to select one colour as the main theme throughout a whole room, but less is more and contrast is key! For example, instead of building one room around one colour how about scattering pieces that feature that colour throughout your entire home, and juxtapose this theme slightly with other colours. Similarly, if the colour you choose is purple, choose an artwork that features some purple, but also features other colours too. This sounds silly, but trust us, this happens often and it can make guests to your home very uncomfortable, especially if they actually know you quite well. It can also make you feel uncomfortable in your own home which is definitely not the purpose of art for your home. Instead, consider what your personal style is, think about how you dress, your personality and what visually appeals to you and selecting an artwork that matches you will be a piece of cake!